A quick re-cap on what seems like an age since the first event, the Kenya Open. Apart from Chris Lloyd who withdrew the night before with illness (or an aversion to carrying my money), the majority of the selected players played well enough without that essential I-don’t-know in order to obtain a payout. Indeed, there was a bitter-sweet taste to the final result as our number-one pick for outright Race To Oman honors sauntered clear on Sunday. The thinking seems correct, it is now about getting them over the line. After a month off, the Tour returns to the excellent Belek region where once again the Gloria GC hosts. After a season on the Old Course, we now try the New Course for the second year but they seem very similar in design and length and it looks pretty certain that players will feel comfortable. There was little in the previous change to indicate otherwise. A tree-lined course of around 7100-yards, there are at least a couple of reachable par-5s and birdies will flow if players can keep it on the short stuff. Confidence in driving and approach play should lead to a few low scores but missing the fairways will ask questions of them, and for me, it is great to see the emphasis on accuracy over length continuing to prevail. The one thing that stood out was despite using a couple of course over the first three runnings of this incarnation, each winner had previously missed their last few cuts. Oli Farr went 56/mc/mc/1 in 2014, Rhys Davies came from the doldrums to win after a couple of ducks, whilst last year promising youngster Clement Sordet proved just too good following a hat-trick of payless weekends. Saying all this, I had to tweet a message about 2015 Champion Rhys Davies at the show of 50-1. 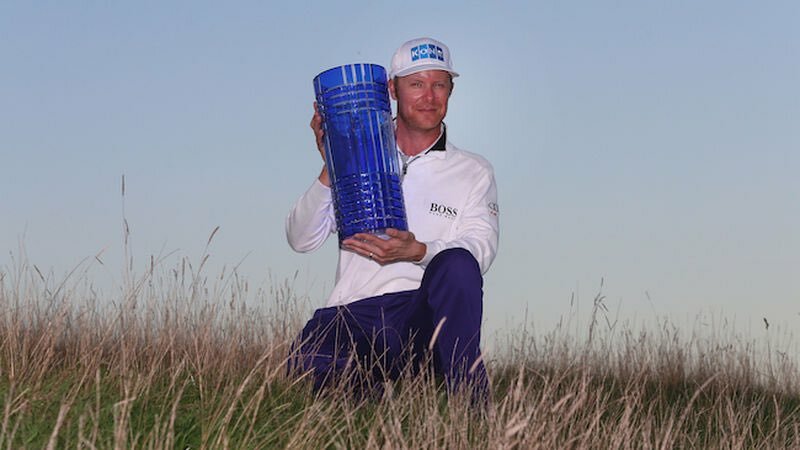 The former prospective Ryder Cup star won his first title for five years on the ‘other’ course in 2015 with a confident display, and then followed that up with a second victory in Tecina to take his career total to five wins. Ranking 8th in that years R2O allowed a place on the main tour but, in truth, last season was a bit of a damp squib and he clearly struggles at the higher level at the moment. Perhaps it is the types of tracks but he didn’t lift a leg even in Morocco, a venue he has form of 1/2, so a sign was needed that he is back in form. We got that with a hugely promising 5th in Kenya on his first outing since Q-School and he was marked for a bet in either of the last two weeks. That he reappears here is a boon as his game is perfect for this area, he is speaking very confidently about his game, and I had him around the same price as the Orrin and Saddier. For a player renown for accuracy with irons and a putting game as good as anyone in this grade, 50-1 is simply wrong. It is impossible to argue about the chances of Aaron Rai even at 12-1 best. The improving youngster has followed up the near miss in gaining his full card with an impressive start to the year. 7th in Joburg, that win in Kenya, and a decent effort in Morocco last week (14th after round one before a tad one-paced after) all point to a player destined for the top division. The course will play to his strengths- he was 3rd here last season when half the player he is now- and he showed in Kenya that his short recovery game is right up there with the best. Another win wouldn’t surprise me but I try not to put up those sorts of prices in full-field events – no complaints if you disagree. I was tempted by Frances Laporta, 3rd in Kenya and with some sporadic decent form but I am not sure he is accurate enough, so have gone with compatriot Lorenzo Gagli. The Italian is virtually impossible to win with and frustrates backers numerous times as he often finds himself in with chances on Sunday but fails to go through with the effort. Runner-up to Davies in 2015, he lobbed in another top-10 on this course last year and warmed up with a 16th in Kenya (poor third round) and looks likely to be there at some point. The added push is that he seems so inspired by the victory of Edoardo Molinari last week that he may now be ready to win again a good few years after a season of three wins on the Alps tour. Oliver Farr won a brutal test round the National course in 2014 (winning score 2-under) and the weather certainly doesn’t look as brutal this year. Had it been forecast, Garrick Porteous would have appealed greatly at three figures but he may wait till further in the season. I also looked strongly at Reinier Saxton, who beat Tommy Fleetwood to the Amateur and has five third-tier wins to his credit but despite that record of missed-cuts seeming to be no negative here, he needs to show a bit more. Instead, final pick was the eye-catcher of Kenya Mathew Baldwin. The Southport-born former captain of England Boys had a very promising career ahead of him when winning his first event at this level, the Fred Olsen, in 2011. Progression continued as he ranked no worse than 87th through the next three seasons on the European Tour, highlighted with a top-60 ranking in 2014. However, injury struck the following year and after playing on medical exemption through 2016, it was a case of seeing what was to occur. An always-present 9th in Kenya was certainly an encouraging sign, especially given he lost his place on the board on the third day, started with two bogies on payday, but fought back with 6-under through the final 16 holes. That looks hugely encouraging and he will surely continue to be inspired by the career of Tommy Fleetwood, a fellow Merseysider. If that first outing is a sign he is fit and his very tidy game is back – form at Morocco, France, Joburg and the like – he has to go close every week when conditions suit. That his only victory has been the same event that Davies has won twice certainly doesn’t put me off.